For over 30 years, Lycett Fabrications has been producing high quality medium and heavy steel fabrications for a companies across a wide range of industries. We provide a comprehensive range of fabrication services from machining, boring and drilling, welding and Non-Destructive Testing (NDT) a-nd assembly, to shot blasting and finishing. To ensure that all of our steel fabrications are made to the highest quality, we have in place a strict quality management system accredited to ISO 9001: 2008, and hold CE accreditation to EN BS 1090-1 for structural metalwork. In addition, our welders are qualified to BS EN 9606 and our steel NDT services personnel are qualified to PCN (Personal Certification in NDT) level 2 and CWISP (Certification Scheme for Welding Inspection Personnel) Levels 1 and 2. Our steel NDT services ensure that our fabrications are made to meet the demanding safety and performance standards required by our customers. They also provide a meticulous material evaluation method without damaging or deconstructing the component or assembly being tested. 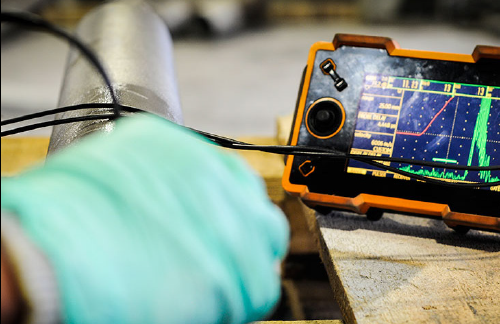 NDT personnel carry out a number of tests during the fabrication and welding processes to ensure that they are fit for purpose, safe, reliable, robust and completed to a high standard, as well as checking that our quality control processes are adhered to. Our customers can rest assured that whatever medium or heavy steel fabrication they need, we have the qualified personnel and the skill to get it done to meet your exact specifications. On delivery of your finished steel fabrication, we can provide you with full documentation which includes material certifications, first and final inspection reports, NDT and machining records, exit approvals, and welder qualifications if required. Quality is fundamental to everything we do at Lycett Fabrications and our steel NDT services reflect that commitment. If you would like further information on our NDT services, or any of the steel fabrication services we provide, please call us on 01827 53231. You can also complete your details on our contact form and we will get back to you as soon as possible.